Shiriin Barakzai, PAZA’s administrative mentor, set up PAZA’s “Rolling Program Plan” (RPP) while volunteering in 2010. The 2014 statistics were compiled and finally entered into the pages of Inputs, Outputs, and Outcomes/Lessons Learned to sum up what was accomplished and crystalize the nebulous plans for this year. Whew! The Club de Artesanas (CdA) members enjoyed listening to a recap of the year´s activities, especially the statistics of their projects completed. 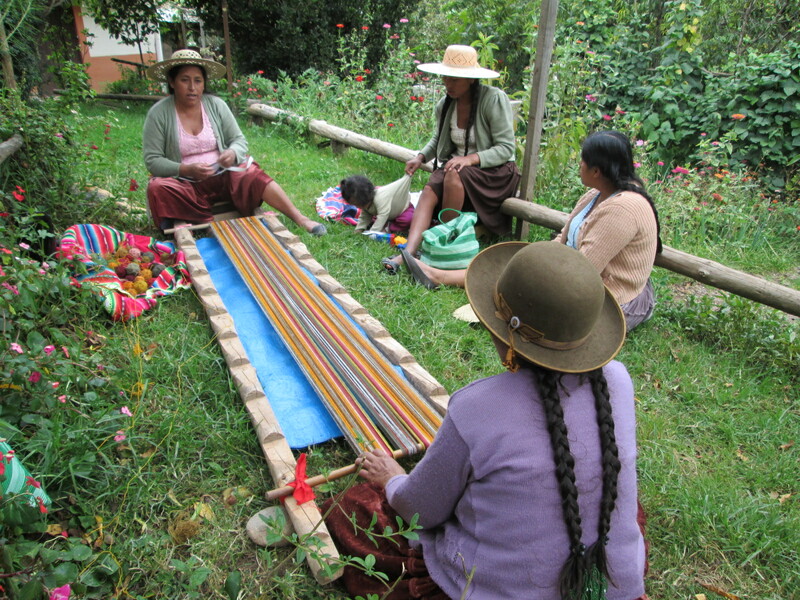 All the weavers were interested in hearing how much income they earned from weavings sold in 2014, and their ranking in the year´s sales. Because weaving is done at home, the CdA members work on sewing, crochet, and knitting projects on Club days. The 9 women involved in the Club improved their needle arts skills by completing 61 projects. 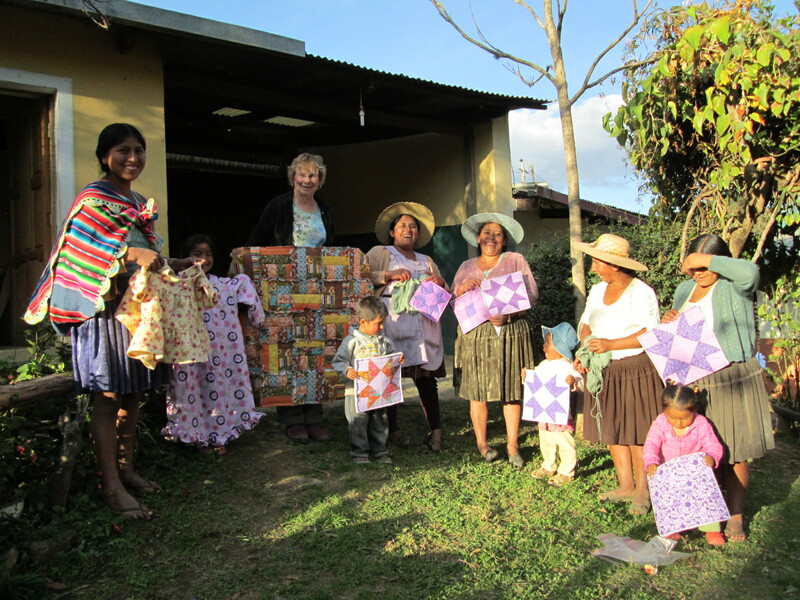 The completed projects help clothe their families. The teenagers who joined when the Club began in 2010 will graduate from high school in December. Their interest in the Club and in weaving has increasingly waned and the 5 still involved completed only 7 sewing or crochet projects. Although they will be welcome to use the PAZA workshop for school projects the budget for project supplies will go towards younger girls wishing to learn how to weave. The high school seniors will be invited to participate in the popular Ruraq Maki jewelry making classes one last time before they scatter to the 4 winds. Warmis Phuskadoras for Spinzilla 2015. The documentary was great fun to film, and it would be wonderful if a textile oriented filmmaker would volunteer to visit us to film this year´s spinning week which will be October 5-11. There were 165 weavings sold in 2014 by 29 weavers totaling $3,613. That is a decrease from the sales of 215 weavings in 2013 by 35 weavers totaling $4,477. Sales at the 2013 Tinkuy International Weaving Conference, sales to volunteers, and the generous purchases of a fair trade buyer at WARP’s annual conference Marketplace boosted sales that year. 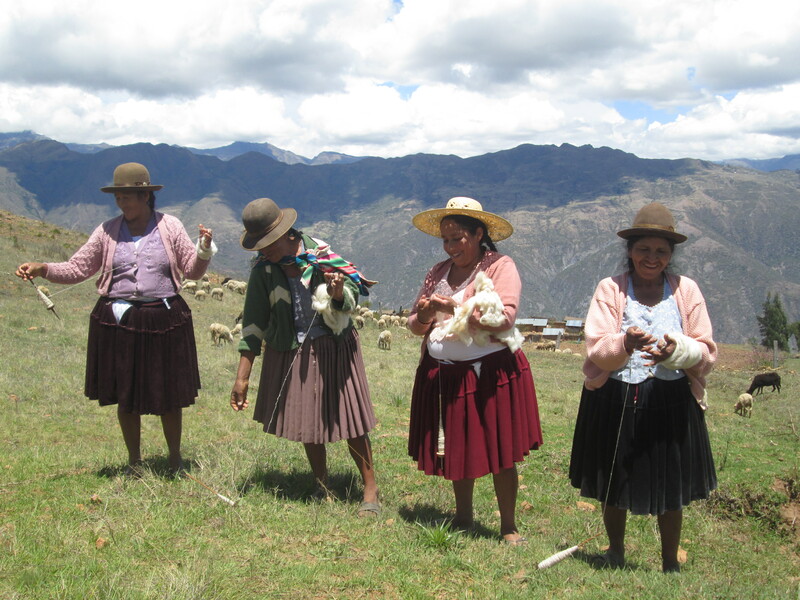 PAZA is transitioning from carrying an inventory of traditional weavings on consignment to placing orders with the weavers to be assembled into zippered pouches and a variety of bags, belts, sashes, yoga mat straps, guitar straps, and wallets requested by buyers. The orders and production capacity maintained a delicate balance in 2014, however PAZA has an ever increasing inventory in the U.S. that needs to be sold to keep the rotating fund rotating. The woven products can be purchased online through Ruraq Maki and ClothRoads. Dorinda can ship orders during her U.S. visit in May. The WARP Conference Marketplace in Burlingame, CA, May 29/31 will be the only U.S. direct sales opportunity. The industrial sewing machine needed to begin in-house assembly of the woven products was purchased in December, thanks to the fundraising efforts of Ruraq Maki. 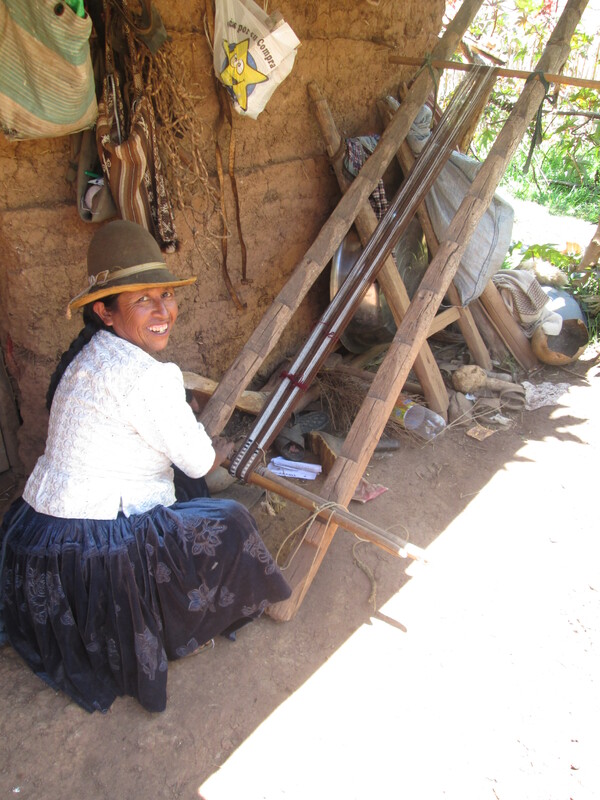 Following a training class, the sewing of the yoga mat straps began in February, providing income for CdA members. 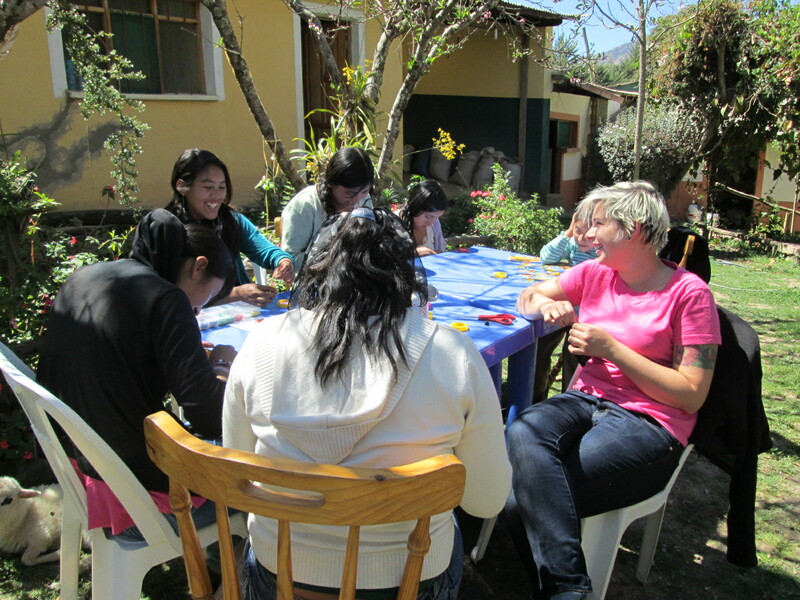 As the women improve their skills the assembly of the lined zippered pouches will also be done in the PAZA workshop. 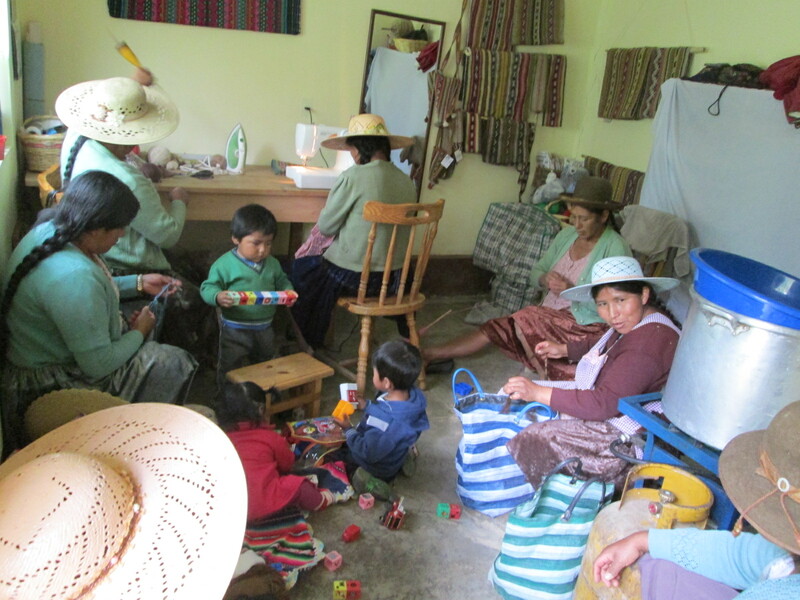 Volunteers to teach sewing workshops are needed to help the women improve their skills. 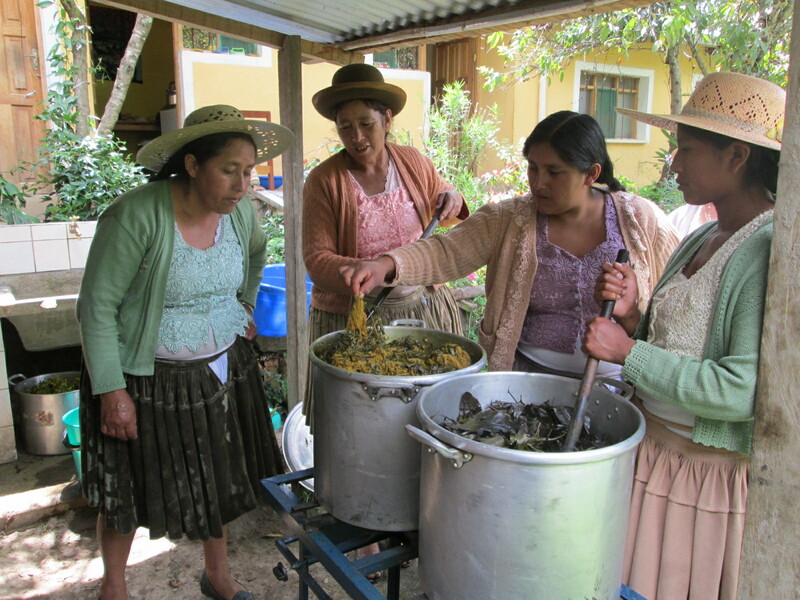 The PAZA successes can be attributed to people working together. Seventeen PAZA supporters raised $3,450 of the $4,047 spent in expenses. An additional $2,200 was contributed to the fund for 6 year old Joel Cachi’s medical evaluation. Noemi Chavez was able to begin her career as a nursing technician thanks to the funds that were gifted to cover the professional certification process. The fundraising efforts for Joel and Noemi met their objectives and are complete. Noemi supported the Huancarani weavers by attending the 2015 municipal government budget meeting and demanding funding for the weavers. The weavers in turn reorganized their defunct Organization of Women so they can access those funds. They elected a CdA member as President. The local political winds have changed and freshened so local collaboration looks more promising than it has in the past 5 years.